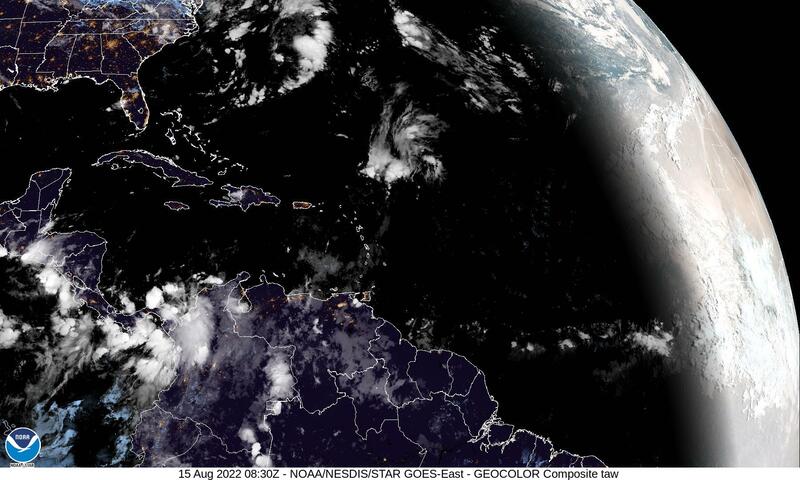 The National Hurricane Center says "further strengthening is anticipated." Hurricane Florence increased to Category 4 storm Monday, with maximum sustained winds growing to 140 mph Tuesday morning, as it makes its way toward North Carolina and South Carolina. The storm was expected to strengthen and is "expected to be an extremely dangerous major hurricane through Thursday” as it continues westward across the Atlantic, the National Hurricane Center (NHC) said. It warned that a "life-threatening" storm surge could hit parts of the coast the Carolinas and Virginia, while equally dangerous flooding is likely. Heavy rainfall "may extend inland over the Carolinas and Mid Atlantic for hundreds of miles", the center said on Twitter. On Sunday, Hurricane Florence went from a tropical storm to a Category 1 hurricane with 85 mph winds. The most recent projections show the storm moving over the southwestern Atlantic Ocean between Bermuda and the Bahamas on Tuesday. On Wednesday, it is expected to approach the coast of South Carolina or North Carolina and possibly make landfall on Thursday. Both Carolinas and Virginia have declared states of emergency ahead of the storm, and President Trump tweeted that the federal government was standing by to provide assistance. North Carolina Gov. Roy Cooper urged the public to follow evacuation orders as the state faces threats from ocean surge, strong winds, and inland flooding from heavy rain. "Wherever you live in North Carolina, you need to get ready for this storm now and you need to evacuate if asked to," he said in a statement. The US Navy also ordered 30 ships to leave their port at Naval Station Norfolk in Virginia to “areas of the Atlantic where they will be best postured for storm avoidance." In addition to the dangers from the sheer powerful winds associated with a major hurricane, Florence is expected to produce “exceptionally heavy rainfall” resulting in “life-threatening freshwater flooding,” according to the NHC. On Monday, South Carolina Gov. Henry McMaster issued a mandatory evacuation order for all eight counties that are along the state's coastline, beginning at noon on Tuesday. McMaster estimated 1 million people will evacuate these areas. "This is a very dangerous hurricane, but we are not going to gamble with it," McMaster said. Cooper also ordered evacuations for seven counties. Authorities asked residents in Florence's projected path to begin taking basic steps toward hurricane readiness. They include preparing a disaster supplies kit, knowing the storm’s location, and having an evacuation location and route planned ahead of time. Hurricane Florence, meanwhile, is being followed by two other storms. Tropical Storm Isaac and Tropical Storm Helene formed on the western coast of Africa last week and have also strengthened to become hurricanes as they move westward.